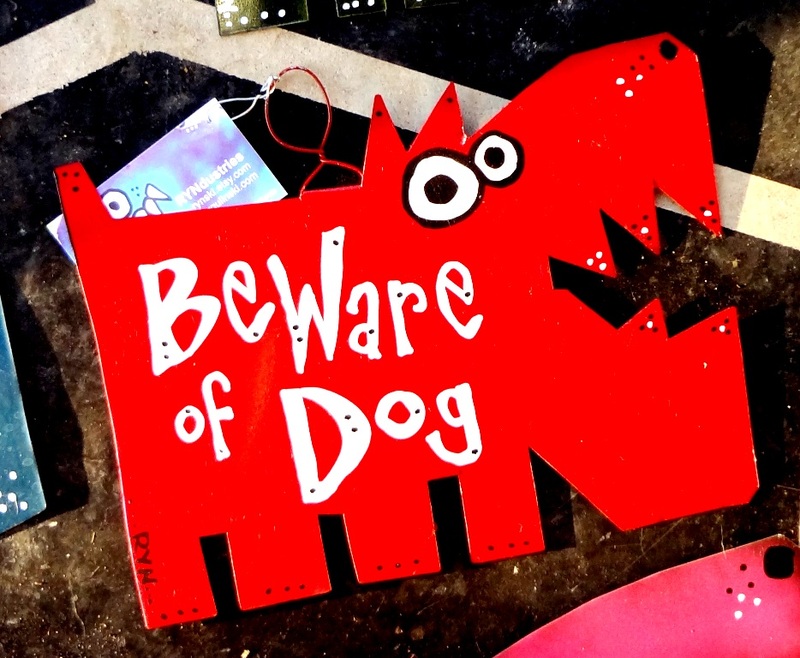 Keep prowlers, peeping Toms, and select cats at bay with this spiffy Beware of Dog sign. These dogs leave no doubt that your home and yard is protected by a loyal and fabulous beast. Heavy-duty metal makes heavy-duty statement in bright hue with hand-painted lettering in white with black accents. The size and color is of your choice. 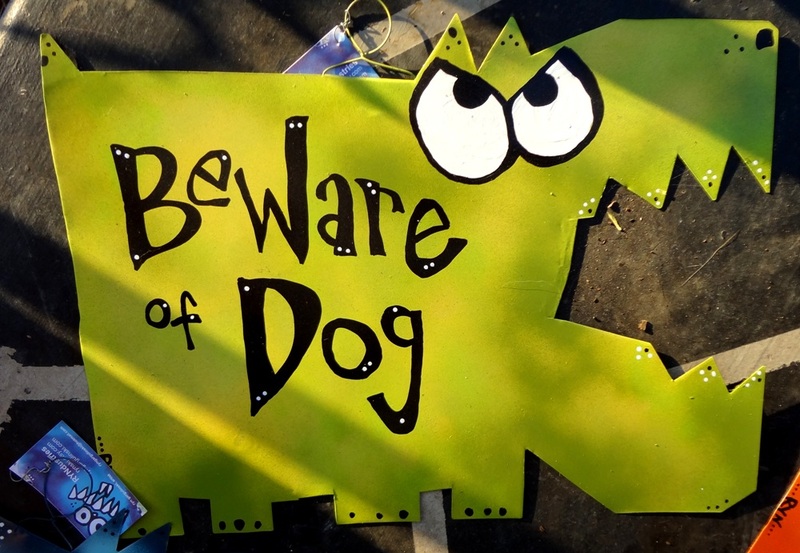 Put your particular dog’s name on it for extra oomph. 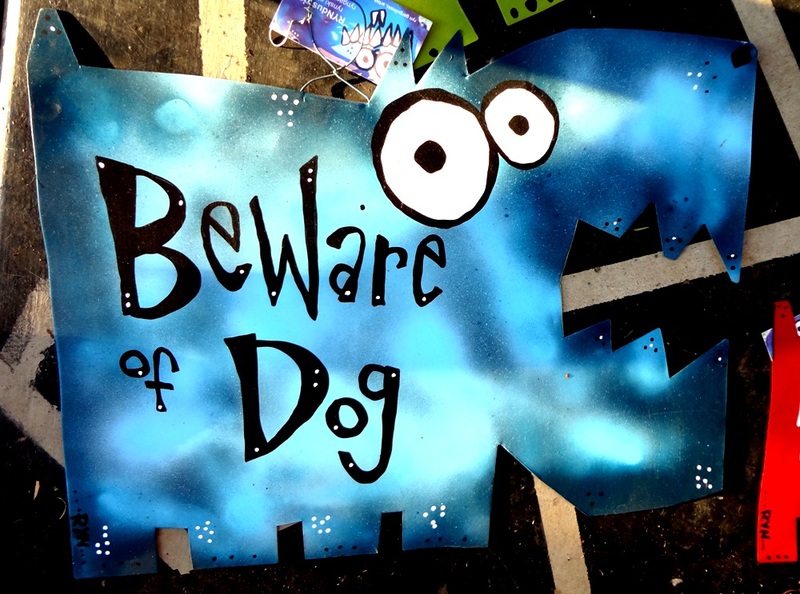 No one likes prowlers and peeping Toms – and if you don’t have a sign warning about your dog, anyone who gets bit for prowling can sue your pants off. 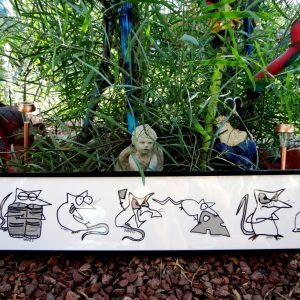 Metal yard art is created with love and care by first cutting out shape from sheet metal, filing down the edges with a Dremel and pounding out kinks with a flat hammer and anvil combination that the neighbors and my dogs hate. Weather resistant, rust-resistant paint finished off with clear coat. Wire loop for easy hanging. Two-tone body hues. Go even larger for more impact. Custom orders always welcome! 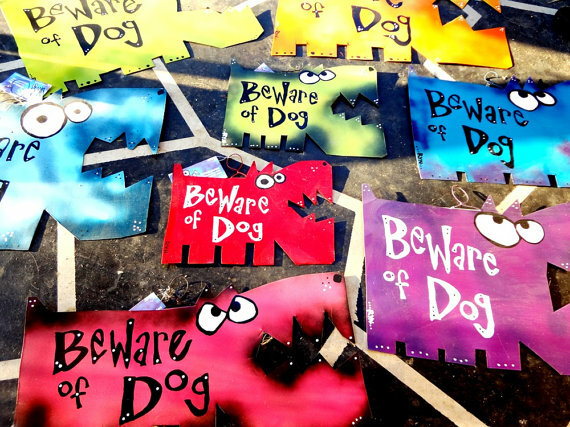 Dog signs can include specific breeds, one featuring your dog or dogs names or any color you desire. 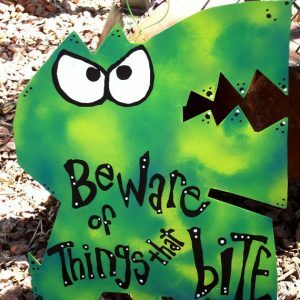 Also have an array of other “Beware” signs that caution against everything from jerks to cats with rabid children in between. To place a custom order or more info, e-mail rynski@ryngargulinski.com. 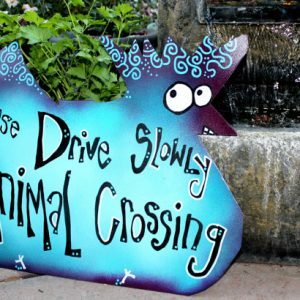 All signs are made to order. Please allow at least five business days for creation.